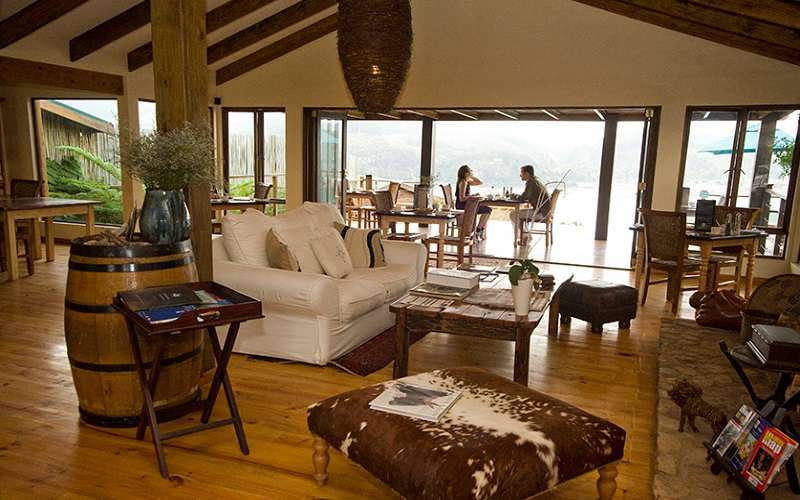 The Elephant Hide of Knysna Lodge is a family-owned establishment that has incorporated natural elements of the South African environment to create a unique, earthy retreat. This has been achieved primarily through the use of stone and wood in stylish contrast. 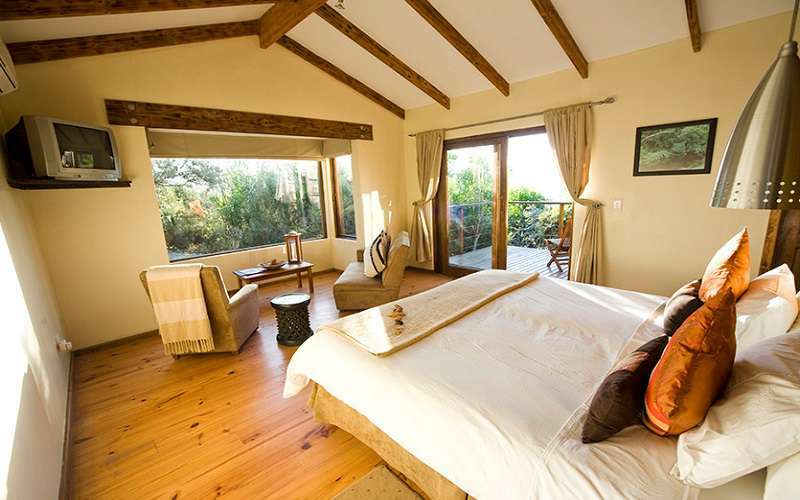 Perched atop the Welbedacht Cliff Tops, guests of the lodge are sure to find it difficult to tear themselves away from the views of the Knysna Lagoon, Outeniqua Mountains and dense forests of the Garden Route. The lounge and dining room, accessible to all guests, are inviting. The fireplace warms the chilly evenings while guests gaze across the lagoon, lost in thought or merely admiring South Africa's beauty. 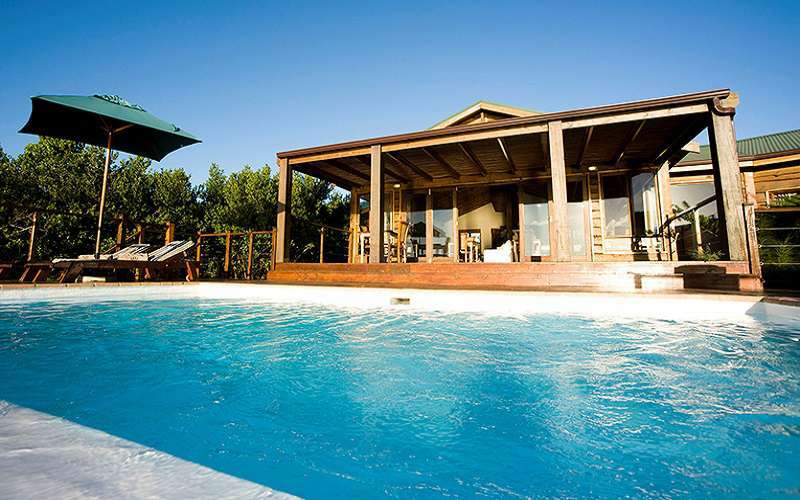 Hot days are best spent in the rim flow pool, which is strategically placed so that views of the surrounds are never interrupted. The Elephant Hide suites are designed with the comfort of our guests foremost in mind. 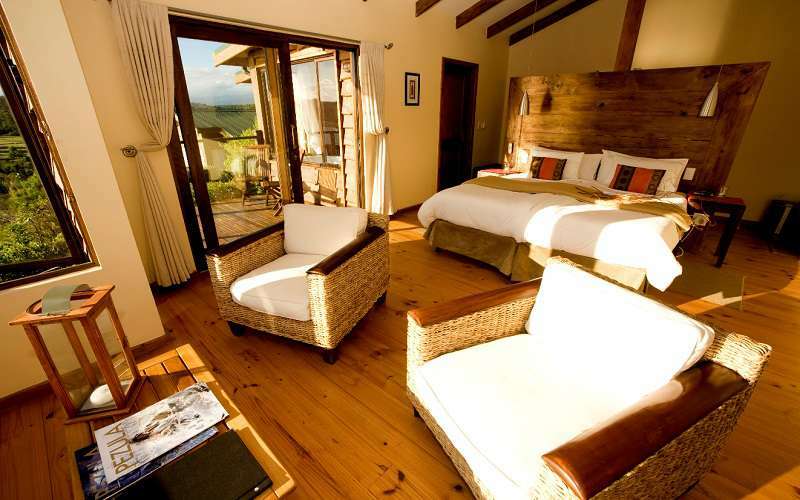 All suites have an en-suite bathroom with heated floors, television with MNet, wireless Internet access, climate control facilities, a private deck from where to enjoy the spectacular views, tea- and coffee-making facilities, an honesty bar, dressing room and superior linen and bedding. 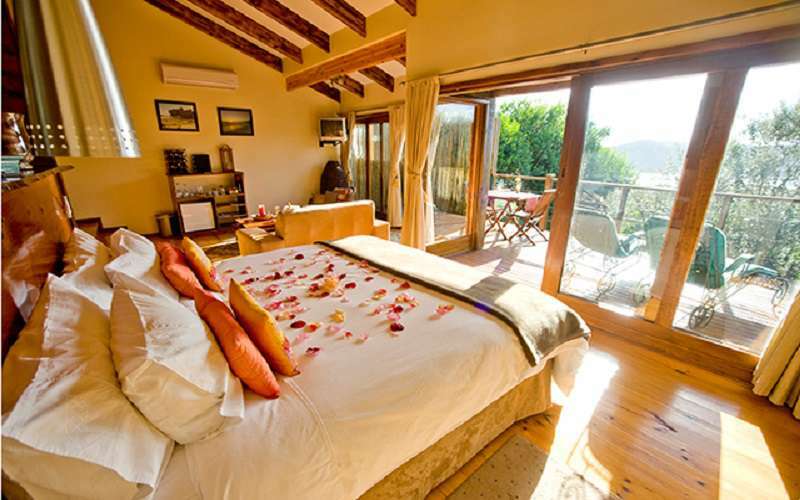 The Lagoon Suites are so named for their unrivalled views of the lagoon from every angle of the room, while the Fynbos Suite is nestled amongst unique vegetation that is both fascinating and aesthetically gorgeous, aptly called Fynbos ("fine bush"). This vegetation is home to many birds, which make their appearance particularly around this suite. The Executive Suite exudes style and charm. The spa bath and separate shower lull guests into a state of utter relaxation, while the ample sitting room and private deck are the ideal venues in which to indulge in some of the wines of the private selection. 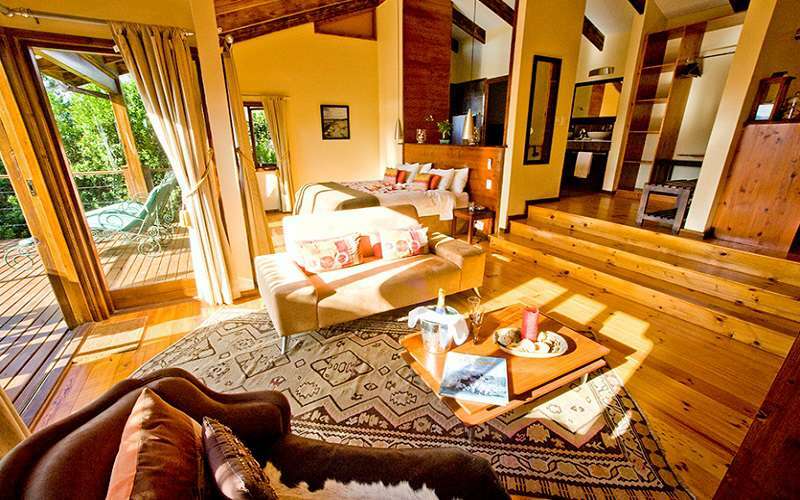 The Family Suite has two bedrooms (interleading) with one bathroom. 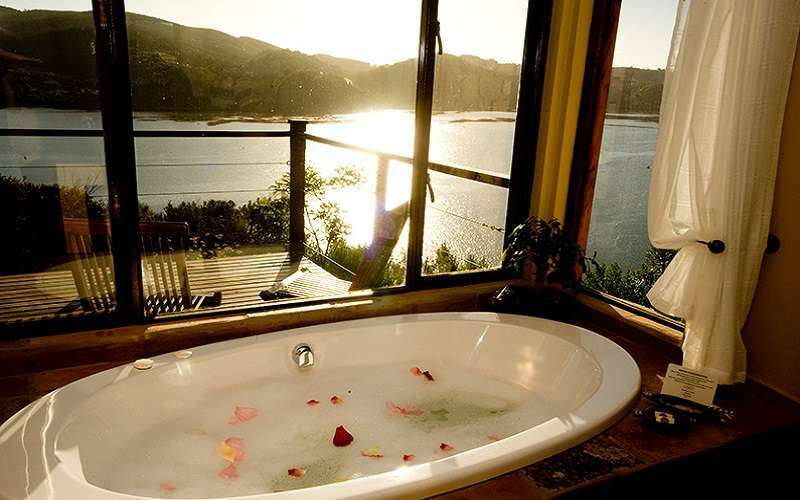 There is a spa bath and a spacious shower as well as a private dressing room. The entire family, or group of friends, will enjoy lazing on the deck on loungers or under the umbrella while taking in the views, sharing a beverage or catching up on reading material. Follow the N2 towards Knysna, drive over the Knysna River Bridge (White Bridge), continue approximately 4km around the lagoon and just past "The Point" sign, turn left into Welbedacht Lane. Drive through Knysna Town staying on the N2. The last set of traffic lights at the end of town is a T Junction with the railway line and lagoon on your left. Continue along the lagoon front and past the African craft market on your left. 50m after the craft market turn right into Welbedacht Lane. Follow "Elephant Hide" signs on the tar and turn 1st left into Cherry Lane. Continue up the hill to a T junction. Turn left and immediately right to Elephant Hide Lodge. 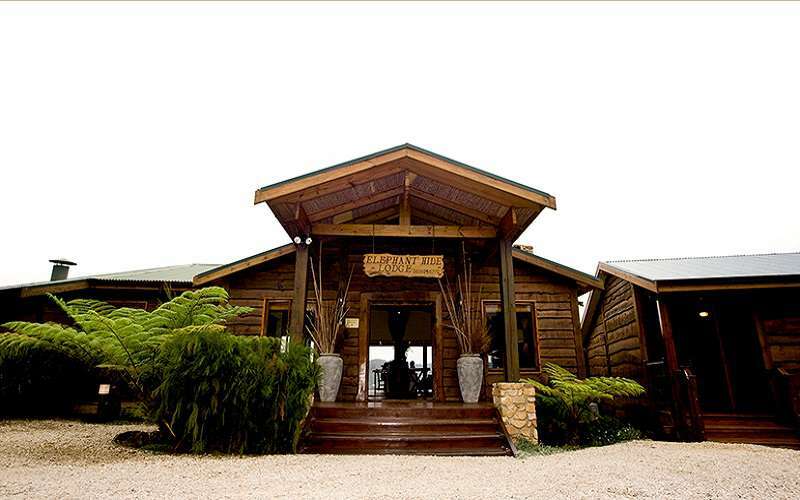 The lodge is sign-posted in Welbedacht Lane on large green boards and in Cherry Lane on brown pointer boards.